The only book on the history of Kensington. Filled with photos and accompanying text, this book covers the immediate Kensington area from the mid 17th century to the 1990's. Limited to 3000 copies printed. We have new shrinkwrapped copies at $27.00 and occasionally used copies for a little less. Sept thru June, April's reading will be held at the Kensington Day of the Book Festival on Sunday April 28. Located in the back of our store, the Bonjour Mama bookstore offers a wide range of French-language books and other resources for all ages. Like Bonjour Mama on Facebook! Residing within our shop, on the second floor, is the Catalan library and reading room of the Fundacio Pauli Bellet, a collection of books in Catalan of interest to Catalan speakers and students. 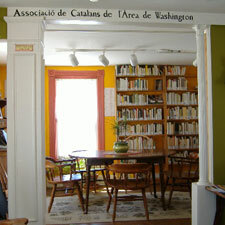 Visit www.catalansdc.com for more information on events, activities, language classes, and news of the Catalan community of the DC area. Catalan language classes offered...inquire for more information. Like the Festival on Facebook! 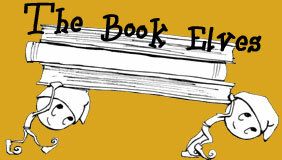 Sneaking around our shop are mysterious, annoying little creatures we call Book Elves. They hide our pens, rearrange our books, unplug our lights and generally try to make us more crazy than we already are. While in the shop, if you happen to see a small elf-like creature scampering about, please try to herd them back to their door located in the children's section. Thank you.